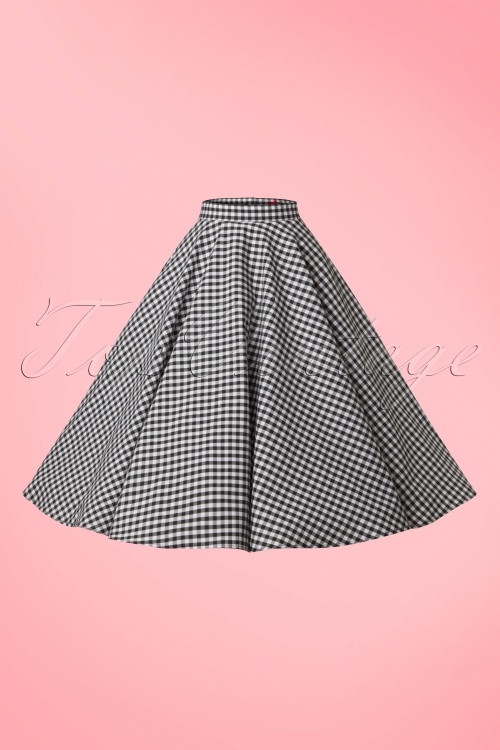 Brigitte Bardot would have worn this 50s Bridget Swing Skirt proudly! 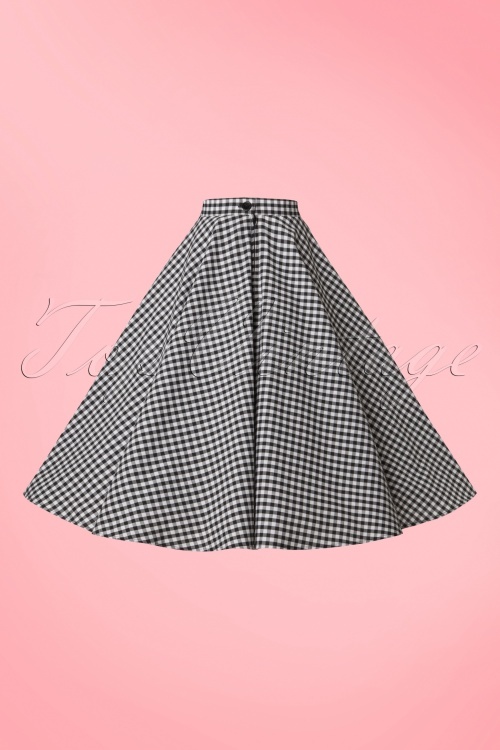 Swing skirts... we can't get enough of it! 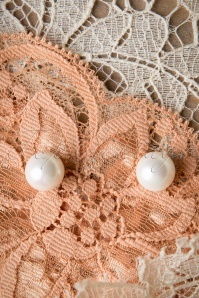 This cutie is worn high in the waist from where it runs into a happy, flowy swing skirt. Breathtakingly beautiful ánd practical thanks to the side pockets ;-) Made from a sturdy yet breezy cotton blend (doesn't stretch!) 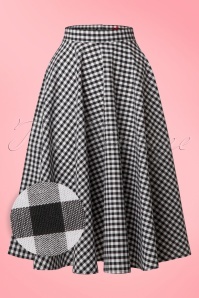 with a classic BB gingham print. What time is it? 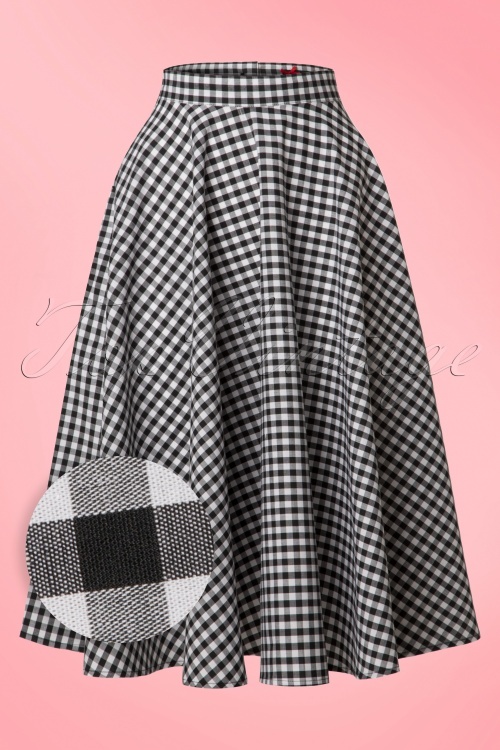 It's gingham o'clock! Ik had zo gehoopt ook een swing-rok te kunnen dragen,maar met maat 4xl is dit niet vanzelfsprekend,misschien was de taille te los,ik voelde me er kolossaal in en heb ze teruggestuurd. De Lyra-dress is fantastisch. Draagcomfort en snit zijn geweldig,een echte vakantiejurk. 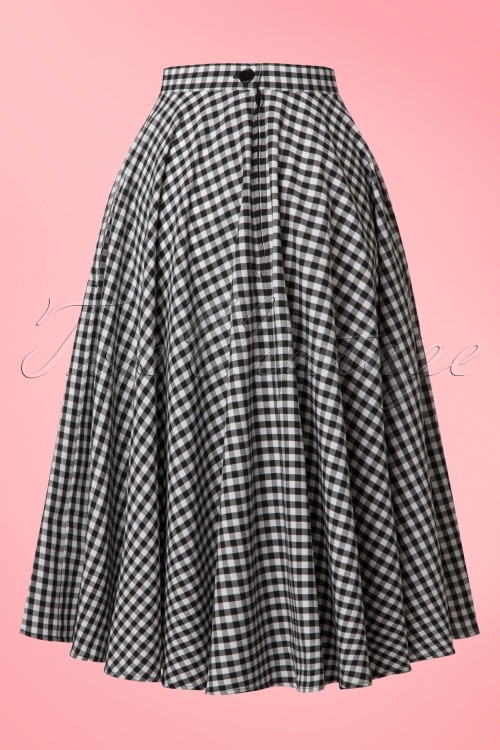 This gorgeous full skirt falls beautifuly. 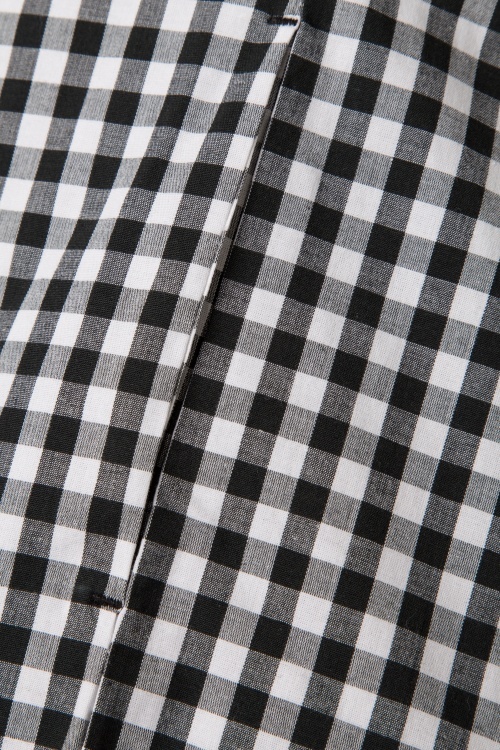 Really nice light-weight cotton fabric that will be perfect for summer. De rok is prachtig! De stof is niet heel dik, maar dat zorgt voor een mooi "flowy" effect. EN ZAKKEN! 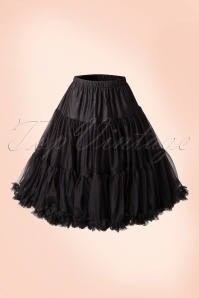 I am fully satisfied with this lovely skirt ! Now I am just waiting for Spring to show it ! It's light, it's in cotton, it fits perfectly and I can't wait to wear it with my yellow top which is also just pefect ! Thank you Topvintage ! deze jurken zijn prachtig,zit bij mij gegoten in xs. dun, maar daardoor vallen ze prachtig.